was super cute, Linda knitted it and the mouse slipper here. 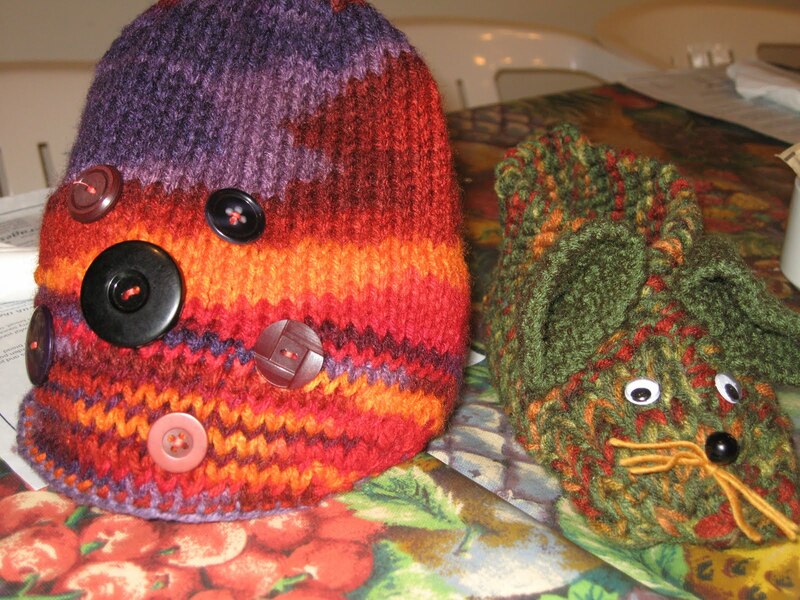 The hat has an asymmetrical brim–where did you get the pattern Linda? I think you said it was a Lion Brand free pattern? The brim is the part on the lower left where the yarn striped, but it doesn’t stick out, it is like a band and can be rotated to any position, very cute! And the mouse slippers–way cute. Even really big kids like these! 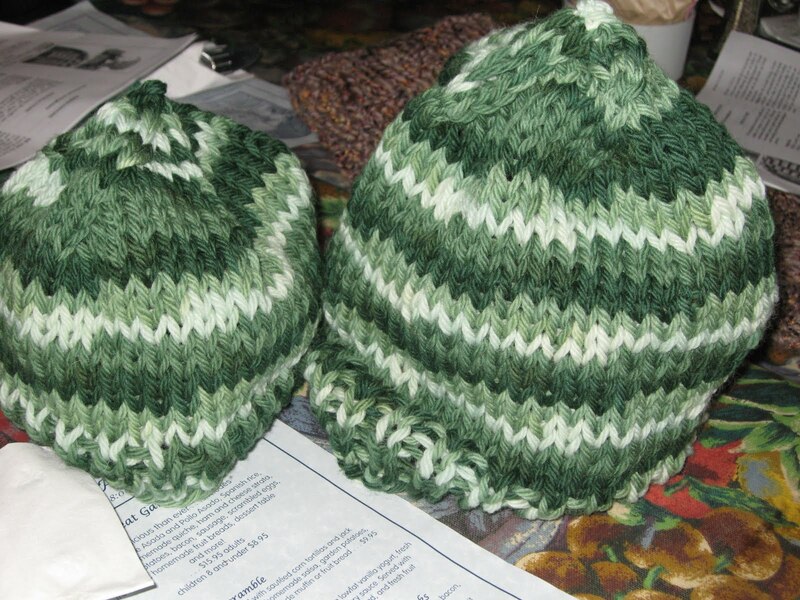 These hats are knitted to fit over helmets—ski helmets, motorcycles, quads, you name it. Gifted by Linda. 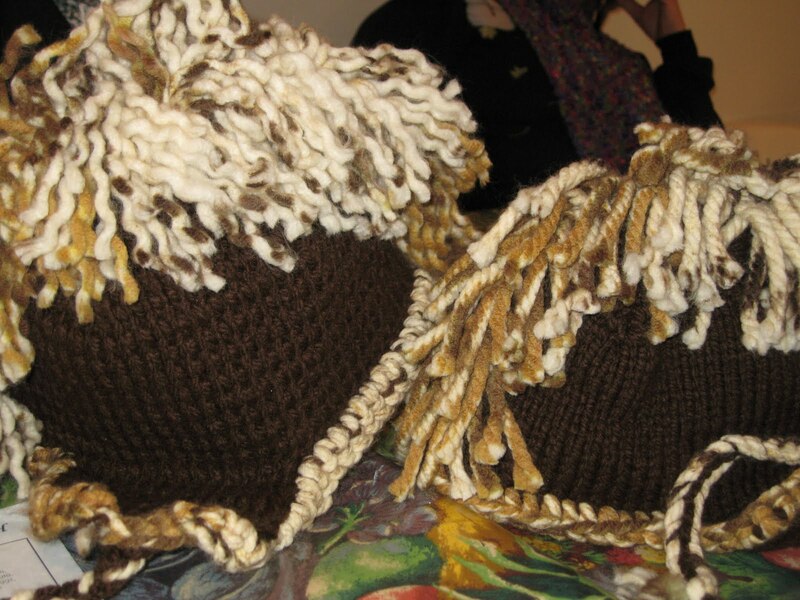 These are mother- daughter hats knitted and gifted by Helen. Cute and quick! 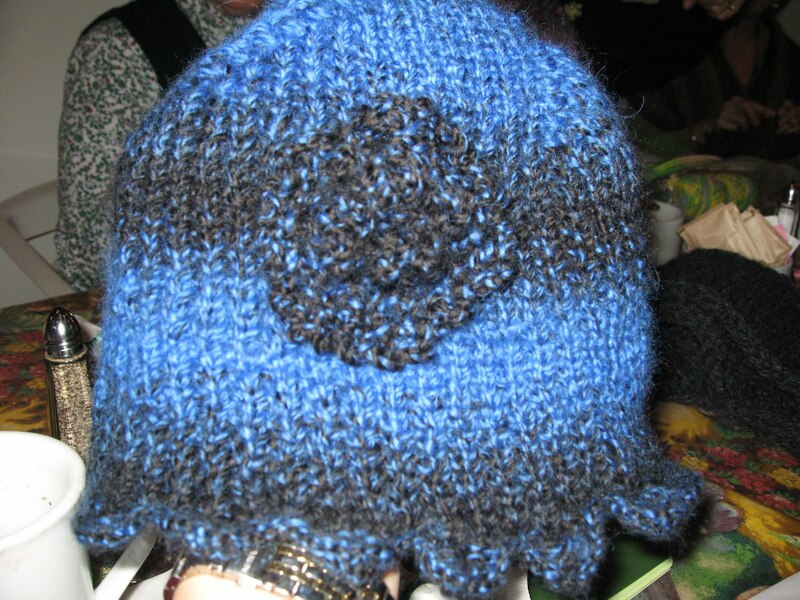 Shirley knitted this cute hat—check out the ruffled edging-it really makes it different—Shirley, can you post the website in the comments? 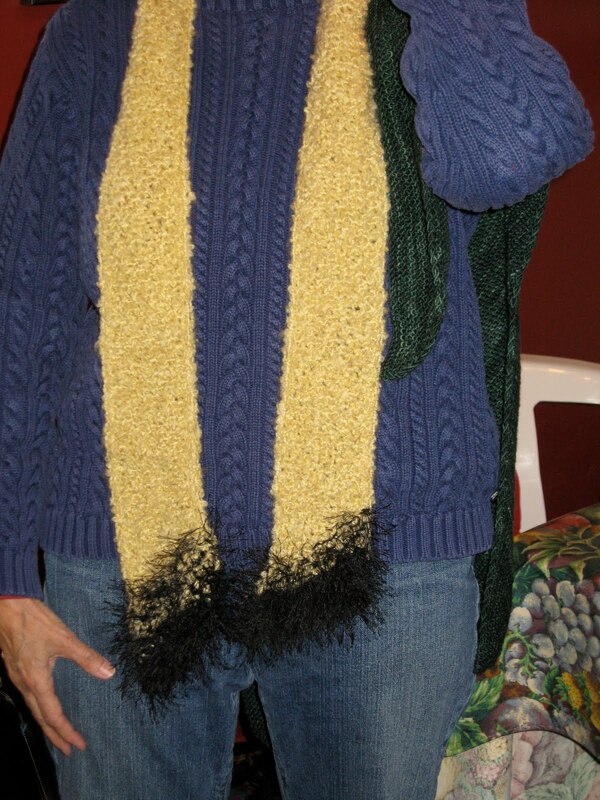 And finally, the “Goin’ to the Gyno” scarf. Model is anonymous. Remember this when you are tempted to add fun fur to the ends of your scarf. As they say in the world of real estate, “location, location, location”. Happy knitting! The New Year promises to have lots of sock news—stay tuned!